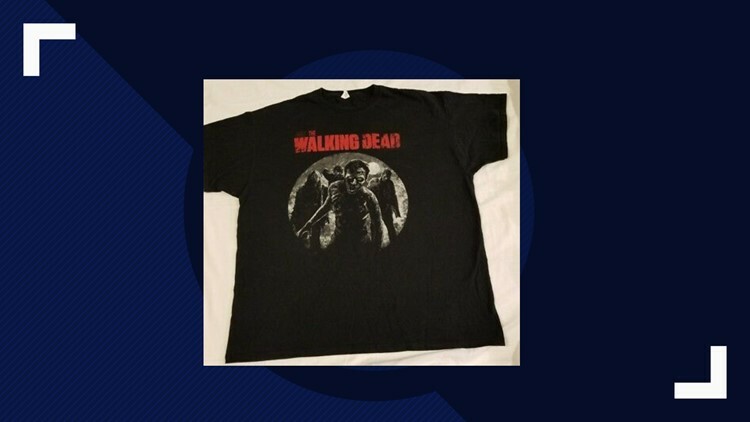 The Jefferson County Sheriff says the victim is an adult male, no tattoos, was wearing a 'Walking Dead' t-shirt, and the name Gerald was found on his clothing. 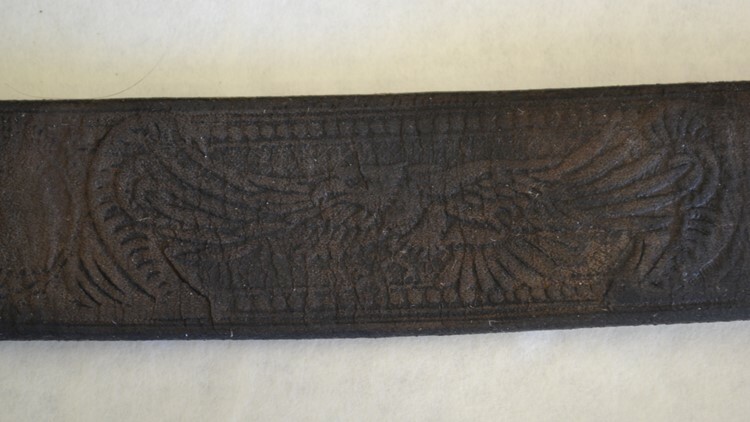 DANDRIDGE, Tenn. — Investigators are hoping someone will be able to help identify a man based on his clothing after his body was found in a bag along the shore of Douglas Lake in Dandridge on March 10. 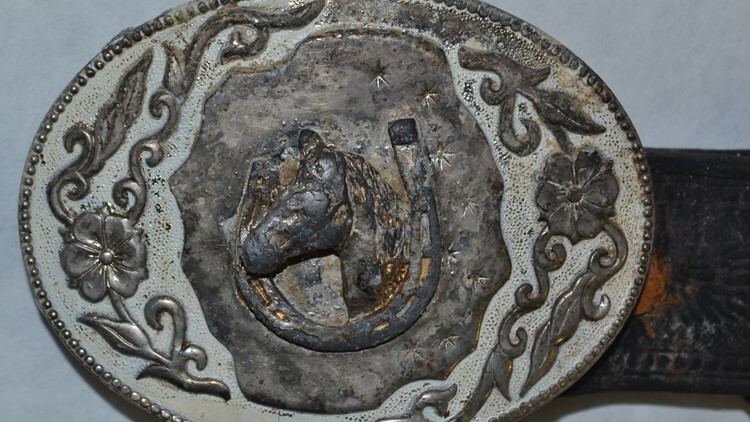 The victim was wearing a Walking Dead t-shirt, blue jeans, and a belt buckle with an image of a horse and horseshoe in the center, a news release from the Tennessee Bureau of Investigation said on March 20. 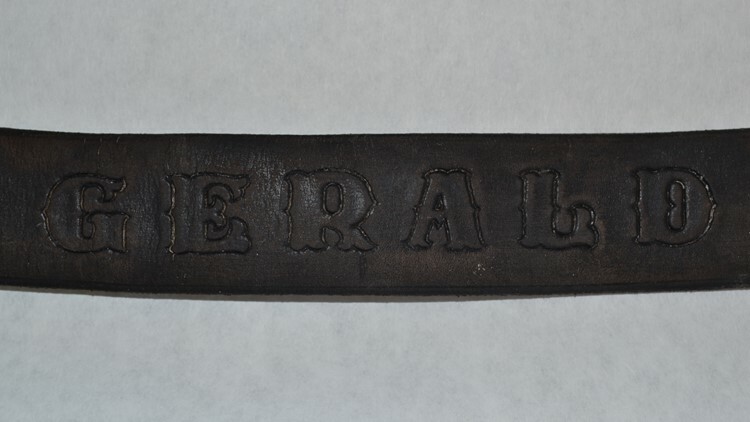 The belt had the name “Gerald” stamped into the leather along with an eagle pattern. The Jefferson County Sheriff said the man did not have tattoos. "We did discover the name Gerald in the clothing. So we've asked assistance of our citizens. If anyone has any information to please call the Sheriff's Office at 865-397-9411 or Tennessee Bureau of Investigation at 1-800-TBI-FIND." Investigators are still unsure how long the body had been there. The victim's race, height and approximate also remain unknown, TBI said in the March 20 news release. Investigators are hoping by sharing photos of the man's clothing, someone may be able to identify him. At around 4:32 p.m. on March 10, deputies were dispatched to Lake Ridge Drive for a suspicious bag that washed up. According to the sheriff's office, a man was walking on his property when he noticed the bag near shore and called deputies. Upon further investigation, deputies said they learned the bag contained human remains and launched a homicide investigation. Investigators spent Tuesday on Douglas Lake searching for further evidence that may be related to the homicide. The Criminal Investigation Division, Tennessee Bureau of Investigation and the Attorney General’s Office are investigating. Dr. William Bass is a well known forensic anthropologist who is not connected to the case. He said he thinks there are more bodies in our lakes and rivers than people might think. "Do I think there are more bodies in our river sand lakes than what you might think? I say yes to that with no hesitation," Dr. Bass said. Dr. Bass said when the temperatures rise and water levels go up, if there's a body in a lake, it has a better chance of rising. "That body usually will float to the surface," he said. We talked to neighbors who were hearing the news for the first time today and wondered why the information was just being released. Others couldn't believe it altogether. The body was transported to the Forensics Center in Knoxville for further examination, JCSO said. This investigation is still in its preliminary stages and the Jefferson County Sheriff's Office will release further information as it becomes available.